Losing the weight is not a simple thing to do and at some point, this process can get you frustrated. Not to mention about the discipline and strong commitment you must have. 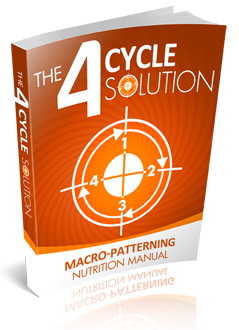 If you often search for weight loss program on the internet, then you might heard a product called as the 4 Cycle Fat Loss Solution from Shaun Hadsall. So let's see more about this program inside the review below. 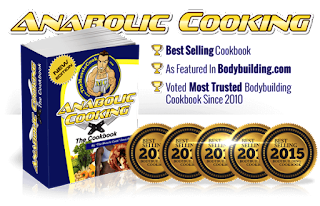 The basic of the program is known as "carb cycling", the concept that is also introduced by 14 Day Rapid Fat Loss Plan, also made by Shaun Hadsall. The difference is, Shaun integrated the dieting secret from ancient Japanese into the 4 Cycle Fat Loss Solution system. Carb cyling is a popular trend in bodybuilding and many athletes as a method of weight loss. The following is a description of how carb cycling works, its potential benefits, and why this is an alternative recommended by some nutritionists. Although there is no single standard protocol, Carb cycling usually involves changing low carbohydrate days with higher carbohydrate in certain days. Fat intake usually increases in low carbohydrate days, and decreases on high carbohydrate days; while protein intake remains consistent. One of the main philosophies behind cycling is to limit carbohydrates when the body doesn't need them too much. In short, carbohydrates function as fuel (like gasoline in your car) to help cells do their jobs. On Low Carbs or No Carbs day, we have to eat a little carbohydrate and make sure the body also has a calorie deficit. When the body lacks of energy and carbohydrate intake is small, glycogen will decrease and insulin production will decrease. Insulin also has a role in storing fat, so decreasing insulin production will prevent fat storage and at the same time burn fat that has been made because we also have a calorie deficit. In addition, reduced glycogen in the muscles will give a signal so that the body increases the use of fat as an energy source. In theory, this would create an ideal fat burning condition.